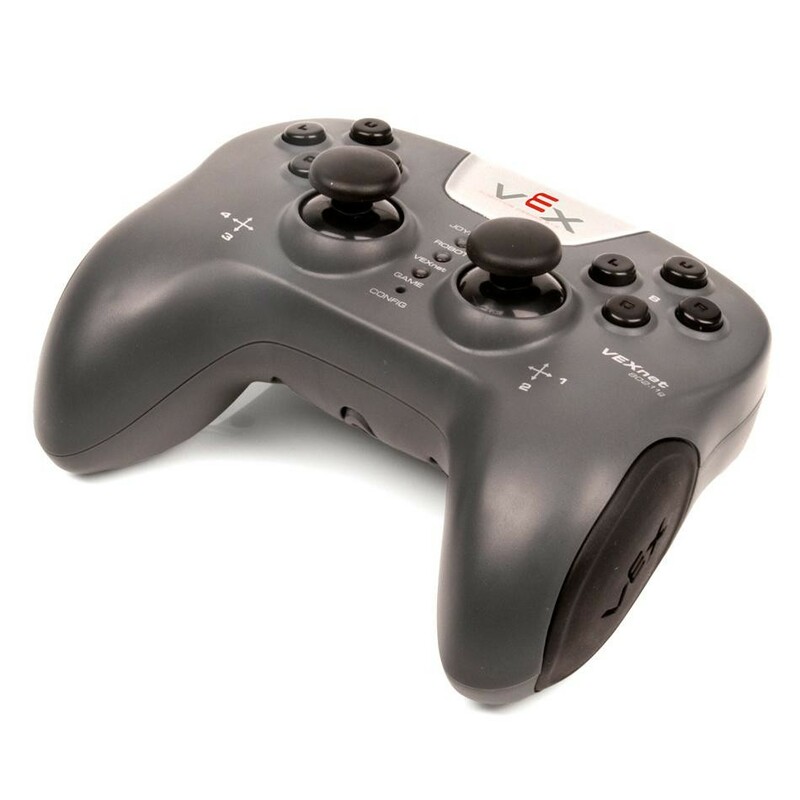 The VEXnet Joystick allows a human operator to control a robot in real-time using the innovative VEXnet 802.11 Wireless link. 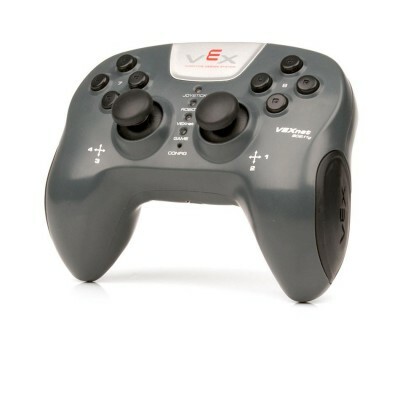 The joystick has two 2-axis analog joysticks, 4 trigger buttons and two 4-button directional pads. It also has an accelerometer that provides X-Y tilt outputs. This allows you to control an arm or drive system by changing the orientation of the joystick (tilting). Just plug a VEXnet USB Adapter Key into the port on the back and enjoy the ultimate in robot control. 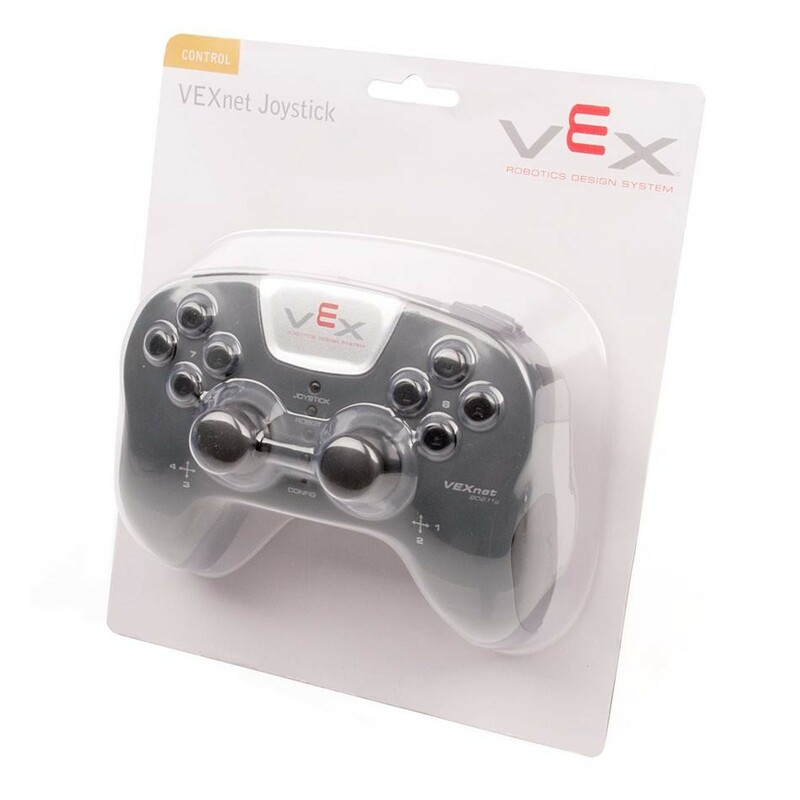 Link (2) joysticks together with (1) VEXnet Key 2.0. 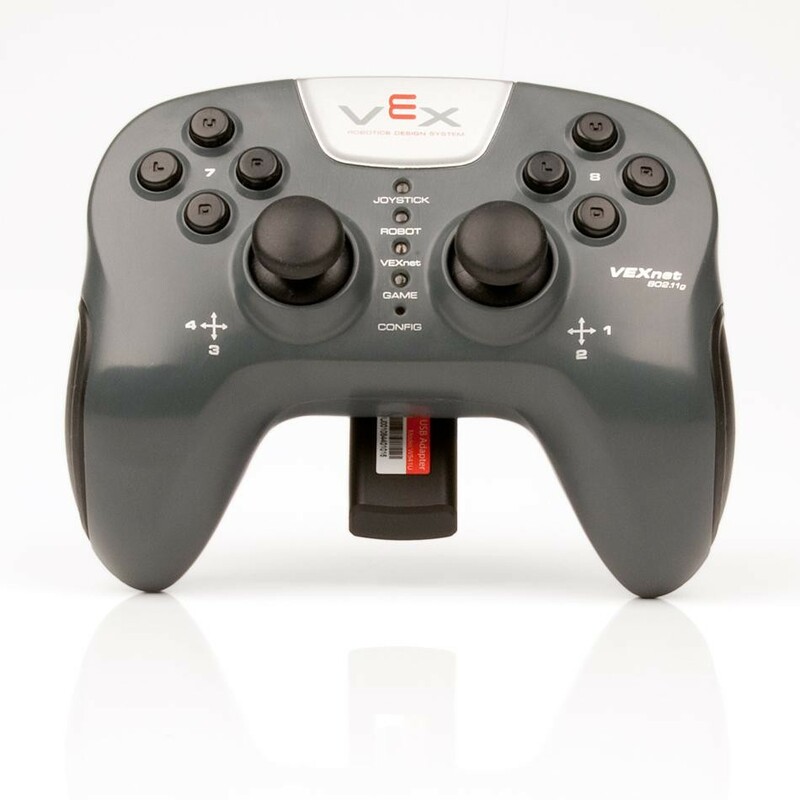 Compatibility : VEXnet USB Adapter Key (not included), Can only be used with the VEX Cortex Microcontroller. (1) Accelerometer providing X-Y Tilt outputs. (1) Partner Port (for connection to another VEXnet Joystick). (1) Program Port (for wireless programming with the VEX Cortex Microcontroller). Batteries Required: 6 AAA (not included). Size: 5.5in W x 4.3in L x 2.2in H.